Handling a divorce? Devereux Appraisal Company, LLC has the experience for these matters. We realize that divorce is a painful process. There are countless issues looming, including what to do with the home. There are generally two options when it comes to the house - it can be put up for sale and the proceeds divvied up, or one party can "buy out" the other. In either case, one or both parties would be wise to get an appraisal of the joint real estate. A divorce appraisal requires a well-supported, expert appraisal document that is defensible to a judge. When you order an appraisal from Devereux Appraisal Company, LLC, you are assured the best in service with courtesy and top notch analysis. Through experience and education, we've learned how to handle the delicate needs of a divorce situation. Attorneys as well as accountants in Louisiana rely on our appraisals when determining real property values for estates, divorces, or other disputes requiring a value opinion. We understand their needs and are used to dealing with all parties involved. We create appraisal documents that fulfill the requirements of the courts and various agencies. For lawyers handling a divorce, your case's research typically requires an appraisal to determine market value for the residential real estate involved. Often the divorce date can be different from the date you ordered the appraisal. We're comfortable with the methods and what it means to complete a retrospective appraisal with an effective date and Market Value conclusion that matches the date of divorce. 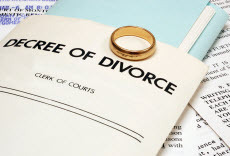 We work on many divorce appraisals , and we understand that they need to be handled delicately. The ethics provision within the Uniform Standards of Professional Appraisal Practice (USPAP) binds us with confidentiality, ensuring the utmost discretion.